When I started designing fabrics for Ella Blue fabrics, I knew I would always have bits of fabric left over from the sampling fabric. 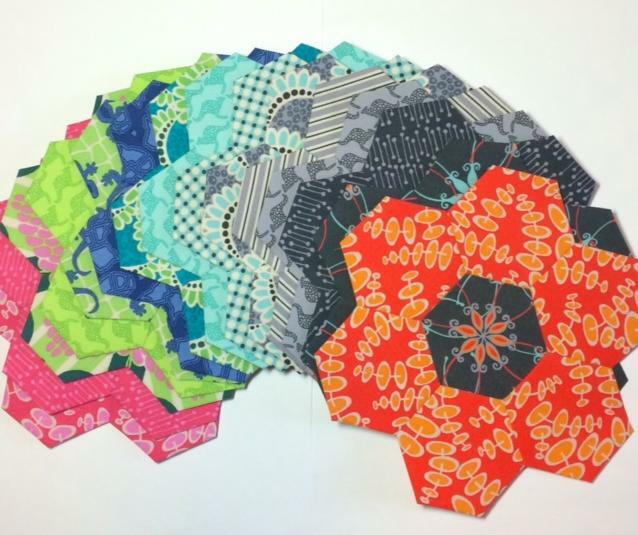 I decided that for my first two ranges,Terra Australis and Terra Australis 2, I would like to make a hexagon quilt as a special quilt to treasure. 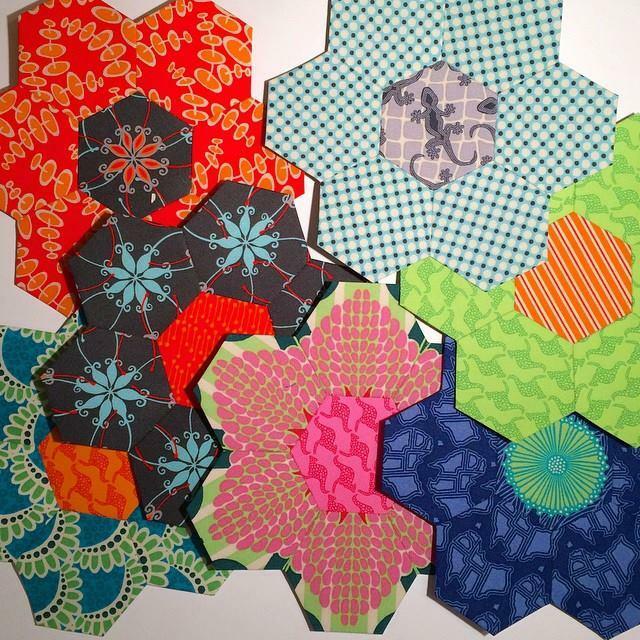 So I started collection scraps and making hexagons to piece together. 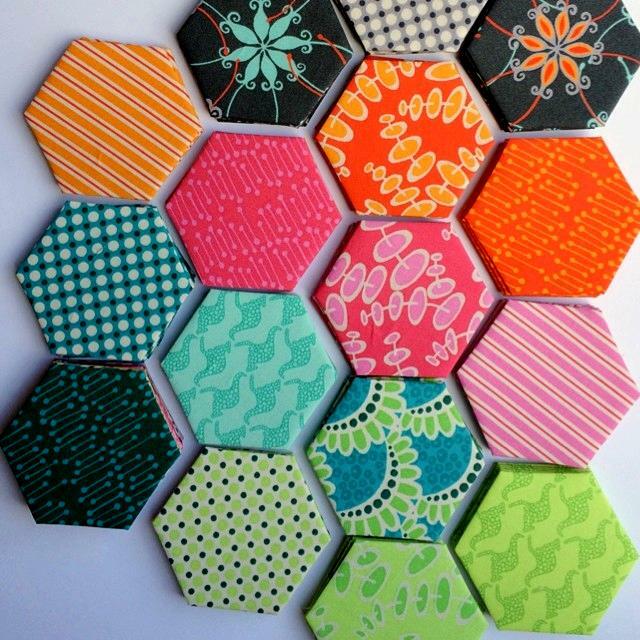 I am making my hexagons from 1.5'' papers and I purchased them from Patchwork with Busy Fingers. I am also using the Sewline Fabric Glue Pen to attach my fabric to the paper hexagon. The thread I am using to piece with is Superior Threads 60wt Bottom Line and the needles I am using are size 10 Straw Needles. 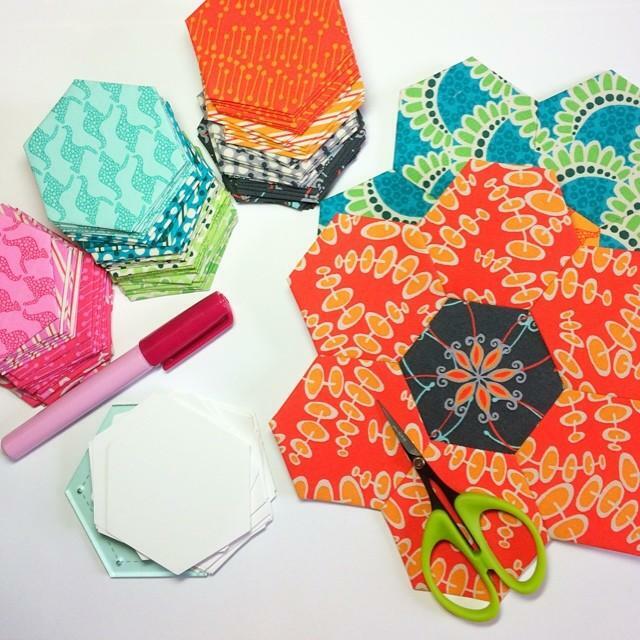 I have always wanted to make a Grandmother's Flower garden so I started putting the hexagons together like this. Very slowly they have been coming together. I really enjoy the fussy cutting element of make these flowers, and creating fabulous patterns with the repeats. This quilt is definitely a long term project as I don't often get time to work on it. However, I don't mind at all. It's always nice to know I have something to hand piece if I need a break from the machine.